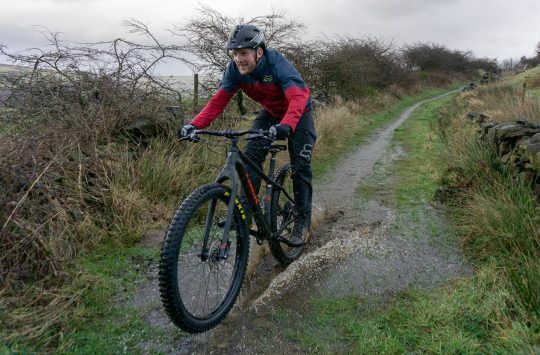 Winter in the UK can be a problematic time to ride a bike. The daylight seems to last for an hour or two at most, the temperature has plummeted, and then there’s the rain. My god, the rain. Not only are there weeks here when it seems to fall incessantly, its after-effects linger for months, turning trails to slurry and dust into grinding paste. Under the circumstances, anything that encourages you to get out and ride a bike has to be a good thing. And while a waterproof bag isn’t top of my list of winter essentials, I’m certainly tempted by the prospect of having a dry spare base layer, tools that aren’t spotted with rust, un-soggy snacks, and an easy post-ride cleaning regime that mainly involves a spray from a garden hose. 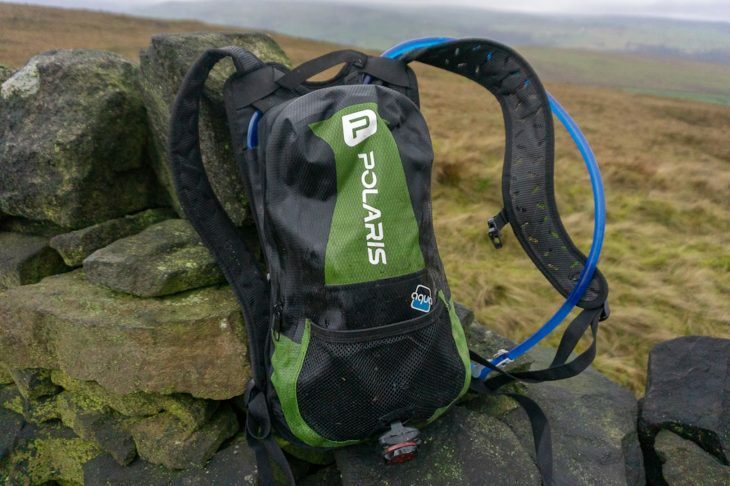 The Polaris Aquanought Hydration Backpack is one of a number of similarly-named waterproof bags from the UK company. The range also includes a waist pack (which we’re also currently testing), a bigger backpack aimed at commuters, and even a holdall to stuff your wet gear in after getting changed at the end of a ride. I’ve been on my fair share of rides that have concluded with a miserable ritual of removing everything from my backpack, drying it all out, then replacing it, in the full knowledge that I’ll probably have to do the same again next ride. 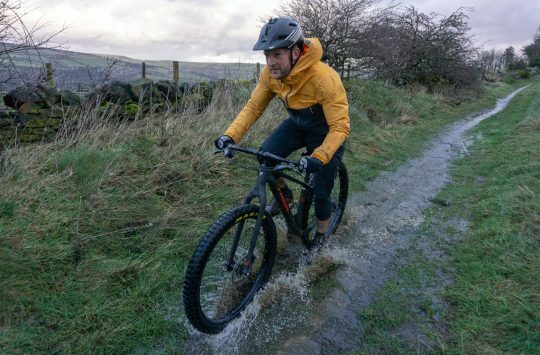 The Aquanought promises to end all that, and luckily we’ve been graced with the perfect winter for testing it. A bag for all seasons? 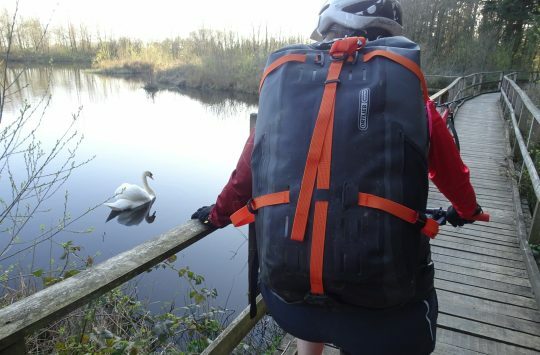 There are all sorts of permutations of packs these days, but the Aquanought is very much a conventional biking bag. It has adjustable shoulder straps, a waist belt and a sternum strap. 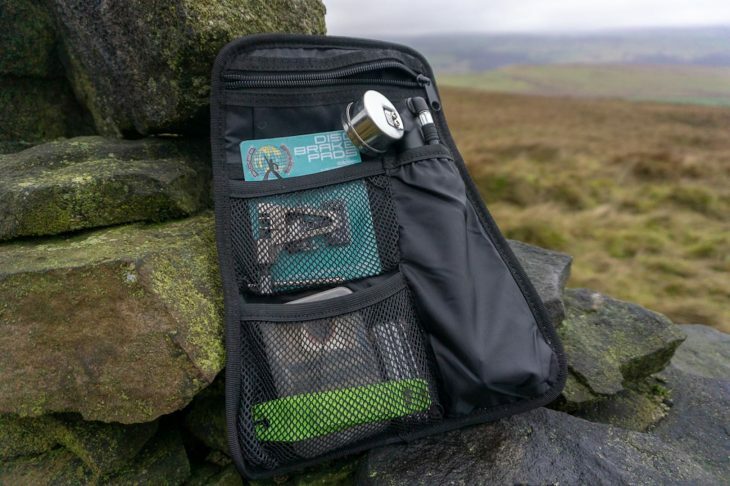 The body of the bag is made from a seam sealed rubberised rip-stop material, complete with a waterproof zip, and it contains a single main compartment with a removable organiser, which has multiple mesh pockets for your gear (or some of it, anyway – more on this later). The internal organiser is neat, but a bit stingy on space. There’s no capacity listed on Polaris’s website but the main section of the bag holds around four litres: enough for tools, food and a spare layer. It’s also long enough to fit my favourite Topeak Mountain Morph pump. The bag has a fair bit of depth to play with. There is a small mesh pocket on the front of the bag together with a loop for a light. 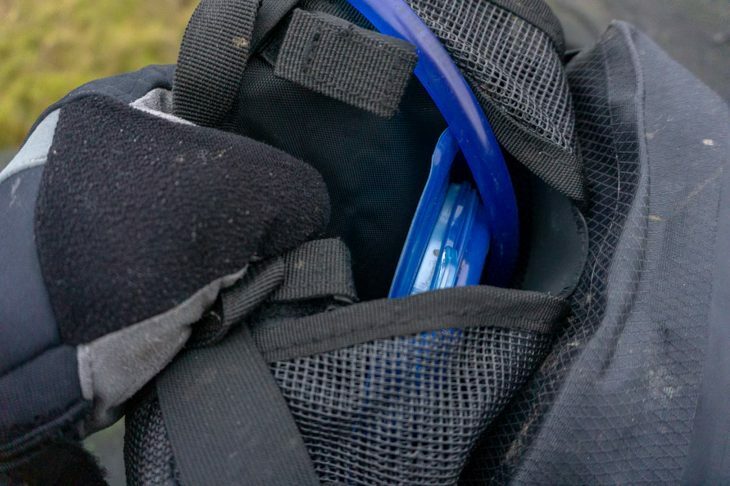 Behind the main compartment is an open-topped sleeve that will hold a 3-litre hydration bladder, complete with some hook-and-loop tabs that pair up with Polaris’s own reservoir to stop it slumping down. The bladder slides in to its compartment through a small opening between the shoulder straps – a bit of a fiddly process if you’re taking a lot of water – but once it’s in there, it’s staying put. Getting a full reservoir in here can be a bit of a tight squeeze. 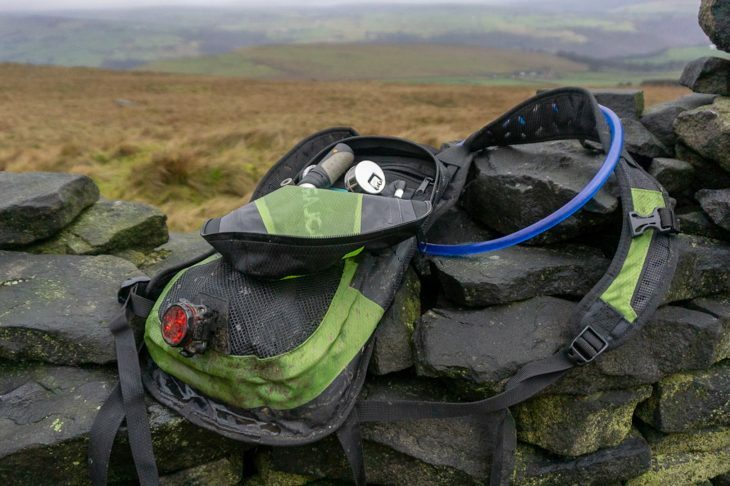 The Aquanought doesn’t come with a reservoir, so if you want to drink and ride you’ll have to pinch one from another bag, or take a trip to an bike/outdoor shop. Elastic loops keep your hose in check, but there are no clips for a bite valve, so again you’ll have to buy these or cannibalise your existing bag collection. The bag held all the gear I generally take for a short winter ride: tools, pump, shock pump, snacks, and some small lights for riding home from the pub. However, aside from a long sleeve for your pump, the pockets of the internal mesh organiser are somewhat stingy on space. If you want to store anything bigger than a pack of playing cards, you’ll have to pop it in loose. If you’d rather use your own tool roll, you can remove the organiser entirely, and I’d probably go with this option if it was my own bag . ‘The On The Trail‘ section of this review is for members only. If you have an account, please log in. If not, you can get access by registering here for free. Win £2600-Worth Of Entries To The UK's Newest Multi-Day Race - The Wales360! “…miserable ritual of removing everything from my backpack, drying it all out, then replacing it, in the full knowledge that I’ll probably have to do the same again next ride”. Not if you use a back pack cover. Good shout, but then you have to take it off when you want to get something out. 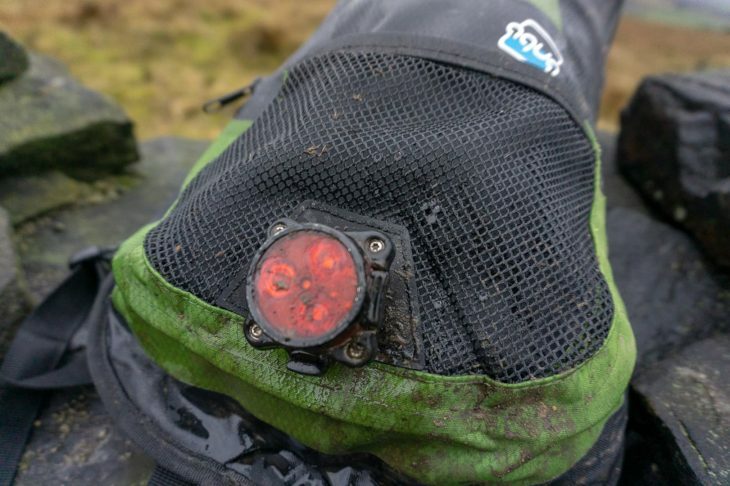 Waterproof backpack covers are a bit like overtrousers – their practicality is offset by the attendant faff. “attendant faff” ? I know experiences vary etc. but seriously how often do you have to go into your pack on a ride, for me once (definitely, for food! ), maybe twice at most. So no faff. or put everything in a sturdy plastic bag or drybag, then inside your existing backpack. Currently £65 on their web-site. dogbone, indeed it is. We always go on RRPs for reviews though.